New spot in Vedado: the perfect mix of Basque food and Cuban musicians. Small business, cafes, restaurant, bars or just a terrace to lay down and relax are growing like mushrooms in Havana! Despite difficulties and tough rules people manage to open new exciting places all around the city. A cool one is getting noticed! With an exotic name: La Casa de la Bombilla Verde (The house of the green light) this spot is one in a million. Want to know why? Just keep reading! Recently opened, this cool café, or perhaps small restaurant, named after a Silvio Rodriguez song is one of the coolest places right now to have a cool timing. Relax environment, minimalist design, really nice staff and very value for money menu are hard facts to avoid. 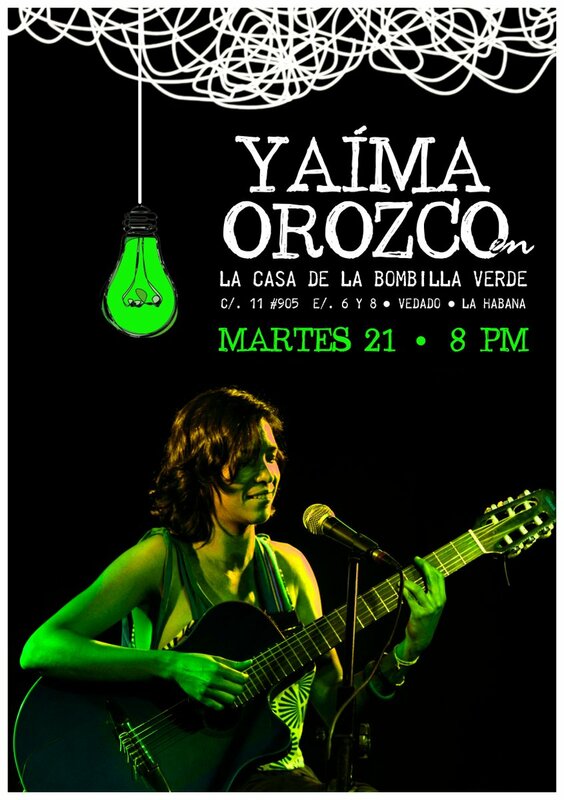 Located in 11 Street between 6 and 8, in Vedado La Casa de la Bombilla Verde is bringing a new dimension to Havana. The owner, a Basque guy. And yes, with all the meanings of being a Basque: the food is superb! The menu is really simple and there are not many options actually, but believe me, you’ll be enlightened. The best Spanish tortilla that I ever had tried in Cuba was made by this guy: a ten out of ten dish, as a MasterChef judge would say. The concept of the place is to go to have a few drinks, and some tapas. Still, they offer some main courses, all of them seem to be pretty amazing. A cocktail lover? You are in the right place; bartenders are cool and generous guys. From 1.80 cuc Mojitos to a bit more expensive Gin Tonics, there are many options to dive in. The place is open from midday to midnight; so if you are looking for a peaceful and nice place for a lunch with friends, or somewhere to meet for a couple of drinks in early nights, you must try this one. The best asset of the place, I believe is no the location neither the food, even when these are spectacular; people around are as cool as you can imagine. Every week small groups, duets or single singers make live performances; sometimes on Saturday but also some week days (the best way to know the calendar is by following them in Facebook). Trova is the main course musically speaking. Are you familiar with the names Jade Duet, Yunier Perez or the guys from Resistencia? Here you’ll find a very unique mix of music, art, painting even theatre performance. A tip! Normally when live performances they start at 8.30pm, if you are going with some friends, go early to grab good places; La Casa can be crowded! But these guys are thinking high; not only live music also art exhibitions are “hanged” in the place. From contemporaneous Cuban painters, art students to top photographer expositions you can find different styles around the place. But hurry! They don’t last too long in these walls! London is bringing Cuba to you! The Cuban rum company Havana Club is hosting Casa Havana, a pop-up bar in Soho where you can experience the truly scent of Cuba in London’s most exciting area. There will be cocktails, music, dance, food even exclusive artwork. A not to be missed event; what best that a good Mojito on a sunny afternoon at Soho? Havana Club is being always our most famous rum. Usually is the one Cubans like to use when preparing cocktails. Today Havana Club is the most recognize Cuban rum; it must have good reasons to win this title in the “isle of rum”. Sugarcane is part of our culture; first introduced in Cuba by Christobal Colombus in 1493, the plantation found in the Caribbean soil a perfect combination of temperature, humidity and fertile valleys. Casa Havana will be taking place from 18th to 20th of August. For booking, time and dinner prices check their website. 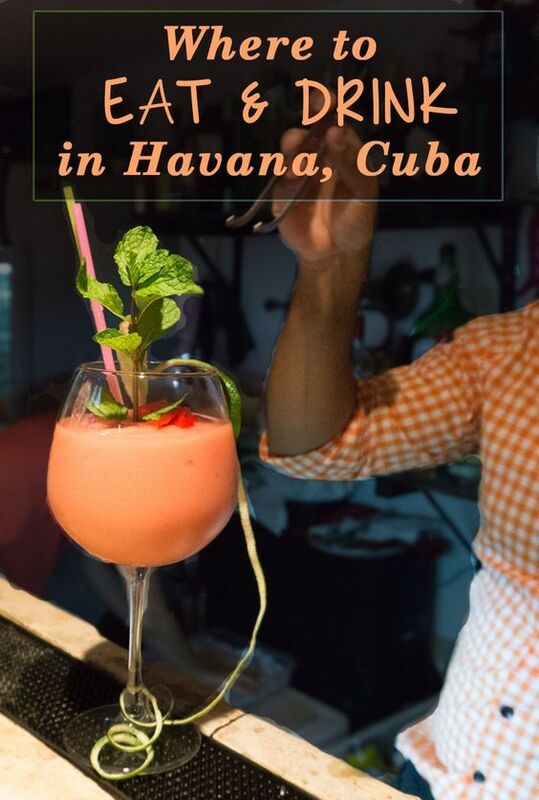 At Casa Havana they are showing genuine Cuban stuff, and a Brand Ambassador has created rum cocktail pairings to be enjoyed alongside the gourmet food and learning a bit about Cuba’s unique rum producing heritage. Location? This guys are placed at 15 Bateman Street, Soho, W1D 3AQ; closest tube station is Tottenham Court Road. 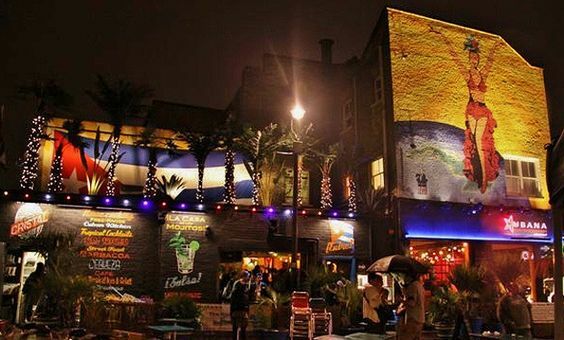 There is a wonderful place in London, well…two of them, one in Waterloo and other in Smithfield that are serving really nice Cuban food, drinks and also hosting cool events with live music. 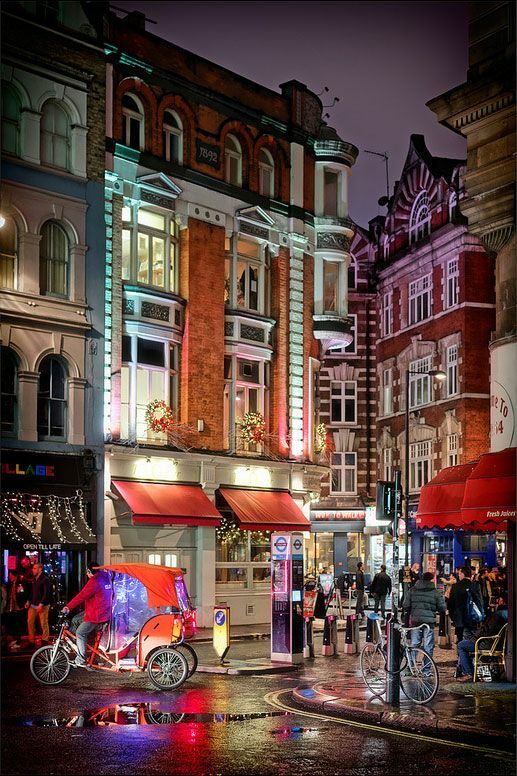 A place named Cubana; the one in Waterloo is located at 48 Lower Marsh, London. The other is in Smithfield at 59 Charterhouse St, London. 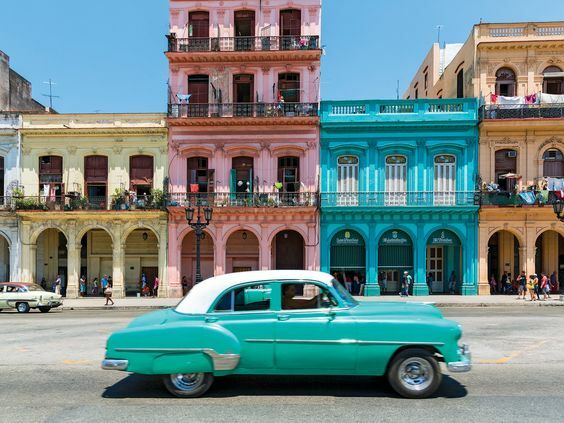 So, if you love Cuba, all of it: food, drink, music, dancing…and environment, then these places are a must if you are currently living in London. A good advice from your travel agency San Cristobal UK. Far away from stressful Western civilization’s ties, a place where you cannot have Google Maps to find your way out (or in) it’s for more than a few people the perfect location for self-discovering tourism. If you are an adventurer soul and want to enjoy at most your trip to Cuba, then here you’ll find some tips about getting around the island and getting in touch with local people. What a better way to knowing a different country than walking around. I believe there are two main types of tourists those looking for a relaxing break while enjoying the best assets of the destination and then those wanting to discover the truly essence of a country: their people. 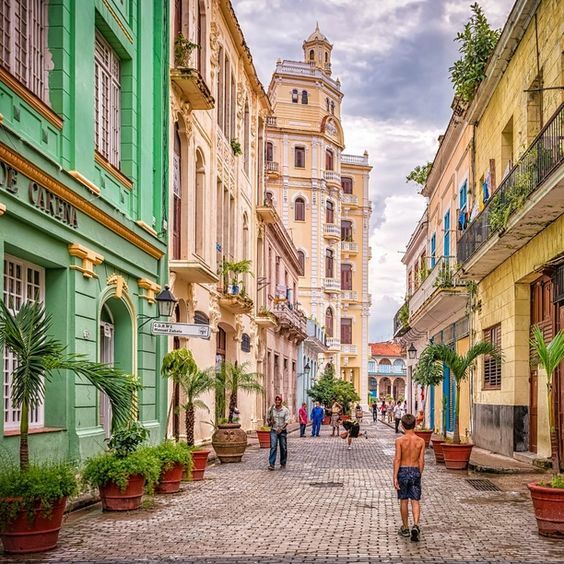 If you aim to be the second type and if you are in Cuba, no better way doing it than getting “lost” in Havana’s peculiar streets or taking unique shots of countryside life. You can think in lot of negative aspects related to Cuban infrastructure: lack of top quality services, overbooking hotels or lack of internet access. But instead of seeking solutions you can take advantages of those. Cuba has unique opportunities for walkers and restless minds; main cities and remote towns give you the chance to get in touch with local people and rural life. You must be aware where you are all the time; is highly recommended to have a Map and a guide book (and yes, those from Lonely Planet are quite good), also a pen and a notebook to take notes is a wise thought. 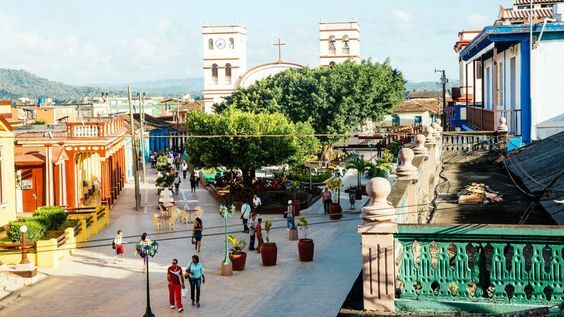 In big cities as Havana, Santiago or Cienfuegos is easier to visit them and get orientated by tour guides and locals almost everywhere in the main tourist locations; but in smaller towns it might be a bit harder. Walking in the island brings you into contact with nature, places you couldn’t imagine to find in here and authentic sceneries. Cities are crowded and full of life; people always talking and laughing and singing! You’ll be surprised how many guitars and street singers you are going to find without looking for them. But getting deep in the countryside, close to the mountains is a priceless experience. Small villages surrounding caves, mountains, rivers and lakes are fountains of joy. You will pass farmers and you’ll see how they do waves and smile; how grandmothers take care of their little grandchildren usually yelling at them if chasing a ball on the road or climbing a guava tree. Cuba is also quite active setting up and taking care of national parks. Many of them are breathtaking (we can recommend Parque Humbolt in Baracoa in Eastern Cuba); if nature and wildlife if your thing you are in the right place then. From Pinar del Rio, where waterfall and light climbings in places like Soroa, Viñales or Las Terrazas (in this last you can have a canopy ride) are amazing options to East Cuba where you find the biggest mountains and also climbing opportunities. Sierra Maestra’s mountains and El Pico Turquino, the highest mountain of the country and also part of the Cuban Revolution history is the perfect match if you want to feel the truly creole Cuban roots. Places to go in Cuba, there are many; and you’ll be surprised how different they can be. Contact us in www.scuktravel.com and we can help you arrange the perfect holidays, in a country where history, music, rivers and beaches are mixed as one. When travelling abroad or discovering new places there is a direct link with local food. Nothing more invigorating than sit on a table and have a delicious meal after a busy hot day walking around Havana city or any other village of the country. You should know then a bit about our history and culinary organization, the one taking care of preserve Cuban traditions when talking about good food. Top places and restaurant are all around the city these days…just give it a shot! The Chef’s Association of the Republic of Cuba is one of the most relevant entities nowadays when an increasing tourism in Cuba is becoming a real fact. Food quality and a good service are the highlights in today’s agenda of this association. The association was born in 1972 and founding chefs still being top names of Cuban cuisine. In 1981, all Cuban culinary professionals gathered it under legal status of the law unifying in one all the small groups and organizations previously created. The Chef’s Association was also aimed to dignify the profession and take it to a new level of perfection. Today it still playing an important role. No secret that we must balance international influences with traditional food. The right amount of both sides are the key of success. We are not the Basques in terms of innovations or refined food; however, in the last few years the quality of our chefs and originals courses based on Cuban traditional meals are raising the level and making the modern Cuban food an exciting topic. A lot of new restaurants, top quality ones, for sure ready to achieve a Michelin star are headed by great Cuban chefs. The quality of our food is already a well-known fact. Perhaps it was a different scenario 15 years ago, but today glamorous and intriguing spots all around the country, especially in Havana, are honoring local traditions and offering unique culinary experiences. The Fifth Edition of Cuba Excellences Prize 2015, one of the most recognize prizes in the country awarded chef Ismel Navarro Torres with the International Gourmet Prize. This chef is a rising star in the Cuban land, showing an adventurer side of modern cuisine. He was specially recognized for the rescue work of culinary traditions and an exquisite and refined creole food in emblematic places of Havana as the local famous Mimosa, La Flor de Loto, Los Nardos, El Asturianito, El Trofeo and recently opened D’Lirio restaurants just in front of the Capitol in Old Havana. Tons of new restaurants are bringing new options to be delighted with food. Not only creole or local, but international. We can talk about the top quality Italian restaurant Nero di Sepia, located in Miramar town and headed by chef Don Ciccio where the Pope Francis went during his visit in Havana. Another 5-star place seafood specialized is El Litoral with a superb location, in front if the sea in Malecon Avenue; also Nazdarovie Restaurant, a must for Russian food lovers, a unique spot nearby Central Havana in Malecon Avenue as well. The most recognize Cuban cuisine restaurants nowadays are San Cristobal in Central Havana, where President Barack Obama and his family went a night for a meal and Ivan Justo Chef, also visited by American top stars. All of this places deserve a try, but a tip! You should call and make a booking for a table, they are usually crowded.